Place woodchips in large bowl and cover with water. Allow woodchips to soak while prepping the corn and setting up the grill (at least 30 minutes). To make the compound butter, in a food processor with knife blade attached, purée the butter and Roastin’ Garlic Rub until well combined; transfer to a small bowl. Cover and refrigerate; let stand at room temperature 30 minutes before using. Peel back the husks from each ear of corn, leaving them attached at the end of each ear. Rinse the ears under cold water while using a stiff-bristled brush to remove the silks. Use a butter knife to spread the ears with 2 tablespoons of the Compound Butter then pull the husks back over the ears. Remove the top grate from the charcoal grill. Place coals in a chimney starter. Spark the coals and let the coals burn until they are covered with a thick layer of gray ash. Spread the coals on the bottom grate. Drain the woodchips and place about 3 cups on the hot coals. Close the grill and open the vent, also known as the damper, on the lid. The damper helps to control the heat: opening the vent creates more heat, while a slightly open or closed vent helps reduce or maintain the heat. Once the woodchips start smoking, remove the lid. 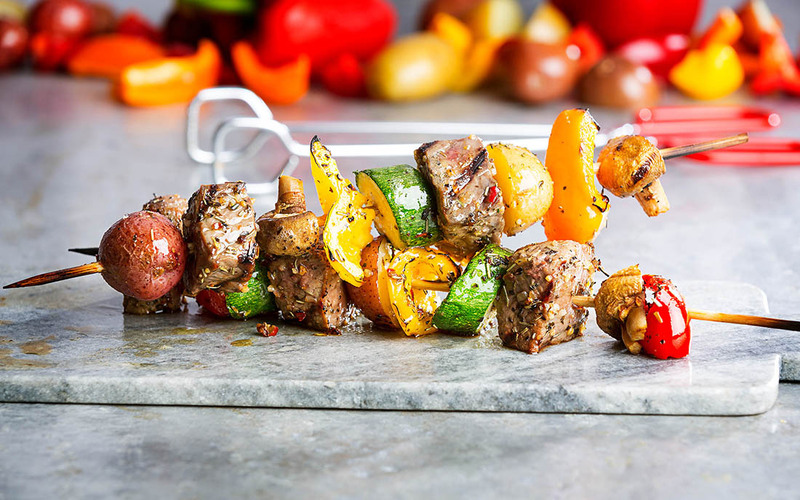 If the grill does not have a built-in thermometer, attach an oven thermometer to the top grill grate, replace the top grate and close the grill. Once the temperature of the smoking chamber reaches 350°F, use tongs to place the corn on the hot grill grate. Close the grill and grill the corn for 20 minutes, turning the corn a quarter turn every 5 minutes. Let the corn stand for 5 minutes. Peel back the husks and serve with lime wedges for squeezing over corn. If you do not have a food processor, in a mixing bowl, stir together the softened butter and the Rebel Rub with a rubber spatula. Do not boil the corn before grilling to ensure that it’s infused with a smoky, grilled flavor and to avoid a steamed taste. 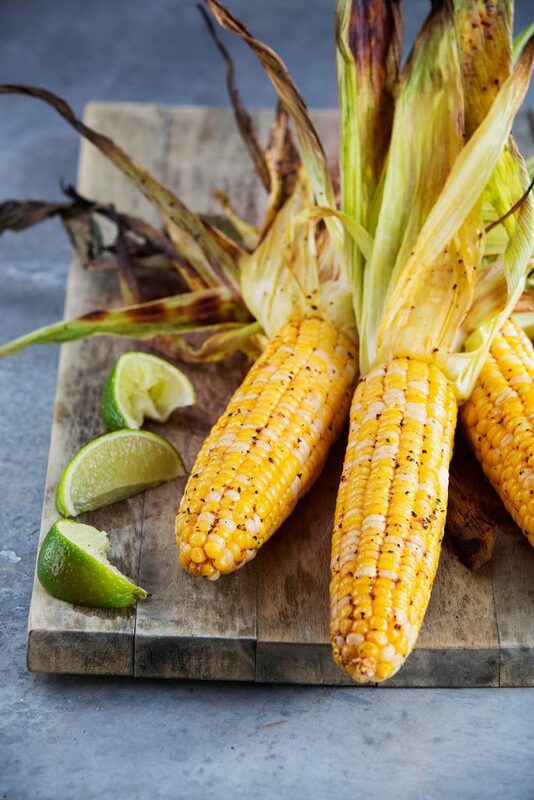 Leaving the husks on the corn during grilling protects the corn from a direct flame and prevents them from charring which can mask the corn’s natural sweetness. 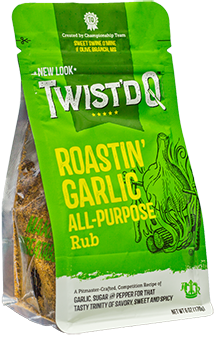 The smoke can penetrate the husk for that hot-off-the grill taste. To grill the corn on a gas grill: Prepare the grill for direct grilling and heat to 350°F. Place the soaked and drained woodchips in an aluminum foil pan. 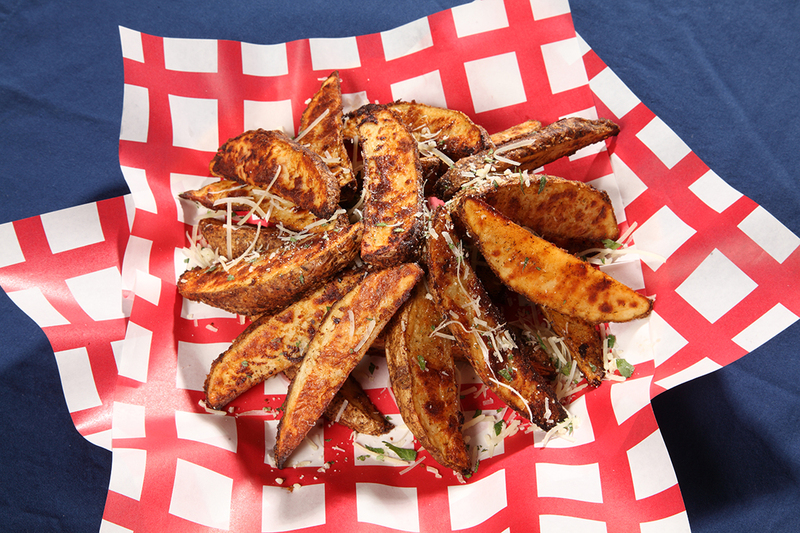 Place the pan with woodchips on 1 side of the grill grate directly over the flame and close the grill. Once they start to produce smoke, place the corn on the hot grill grate next to the foil pan. 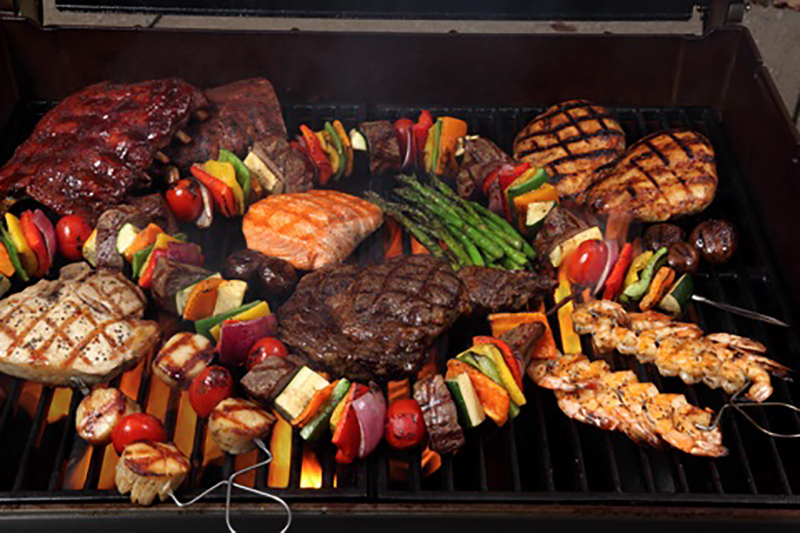 Continue grilling as directed for a charcoal grill, adding additional woodchips as the smoke decreases.